Elisabeth and I need guitar lessons, stat! Crown Royal is the classic Canadian whisky. Think about it. There are others, but I dare you to name three. Okay, thought experiment over. I’ve always viewed Crown Royal with a slight air of mystery. You see, as a kid, my grandfather always had the draw-string bags filled will all sort of odds and ends. I don’t recall him drinking it often, but I knew by the way he kept those bags that it was something special. Crown also holds a bit of special spot for me. It reminds me of fishing trips to Canada with my dad. Then, for my 30th birthday my cousins gave me a bottle of Crown Royal Special Reserve, which holds a place of honor on my top shelf and gets consumed, one small dram at a time. This trip down memory lane does have a meaning and I appreciate you sticking with me. 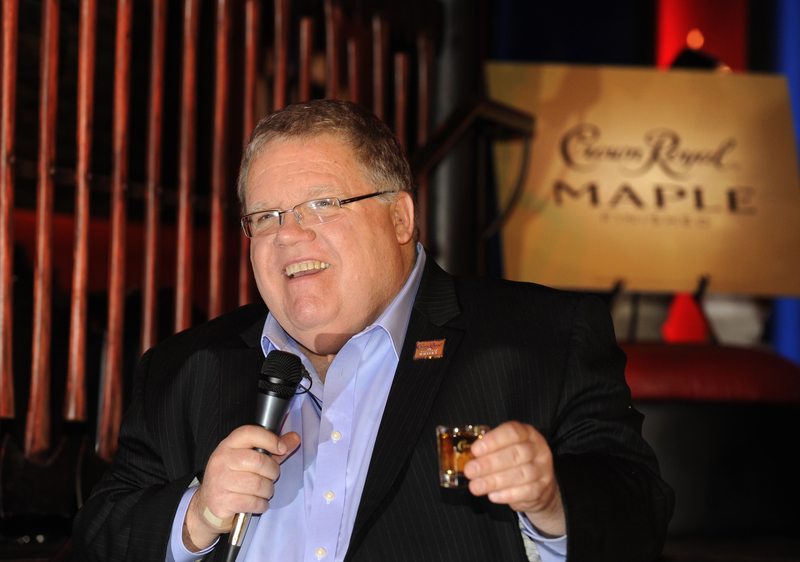 When I got word that Crown Royal was bringing a whisky out to compete in the flavored whiskey market, I was a bit concerned. Don’t get me wrong, I like flavored whiskies, but in some cases they’re a bit gimmicky. The whiskey flavor dialed down to allow for a strong punch of flavoring. My first sniffs of Crown Royal Maple Finished had me a bit concerned they’d gone down that path, but I really shouldn’t have been. The aroma is of pure clean maple, much like you’re sniffing good maple syrup, but the flavor isn’t nearly as sweet as you’d expect. Rather it’s a solid base of whisky flavor with a natural maple notes layered on top. Better yet, the sweetness isn’t syrupy or cloying. It’s subtle and mellow. This is a flavored whiskey that’s absolutely meant to be mixed into cocktails. There are two quotes from Steve Beal (Crown Royal Master of Whisky) that I think really sum up this spirit succinctly. “Started as whisky…still is.” and “Not a whisky liqueur.” The key point of this spirit is that it truly is a flavored whisky that remains true to it’s whisky roots. 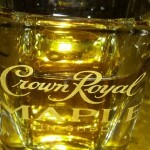 Bottled at a solid 80 proof (40% ABV) Crown Maple stands with its whisky brothers a step above liqueurs at lower proof. Which brings us back to the guitar. 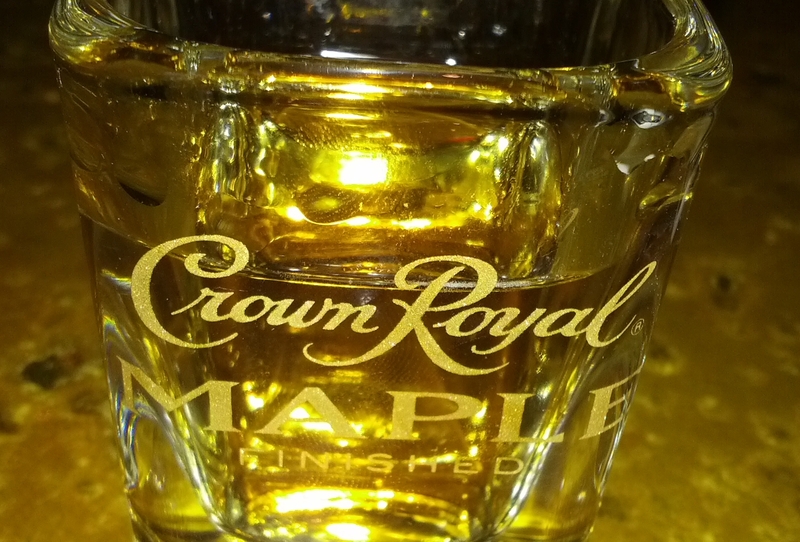 Elisabeth and I went to a Crown Maple event last Tuesday at the Double Daughter’s Salotto. When we entered we were served a couple of tasty cocktails (recipes at the bottom), but the real fun came when they announced the shot recipe contest. 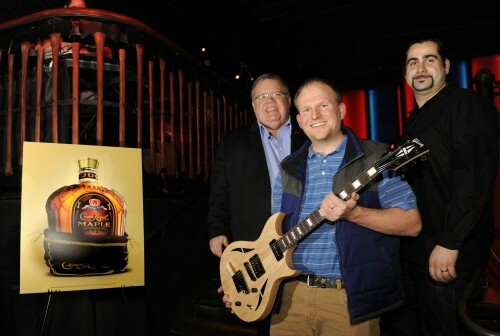 The idea was simple, come up with an original shot recipe based on Crown Maple and enter for the chance to win a not yet released Gibson maple wood guitar. Elisabeth and I had done some playing around the night before and entered two recipes we thought were solid and sat back, never expecting to win a thing. Suffice to say, when Steve Beal announced the shot I entered, the Eh, Eh? as the winner, I was beyond floored. You may note I appear a bit distant in the picture at the top of this post. So, on to the recipes. 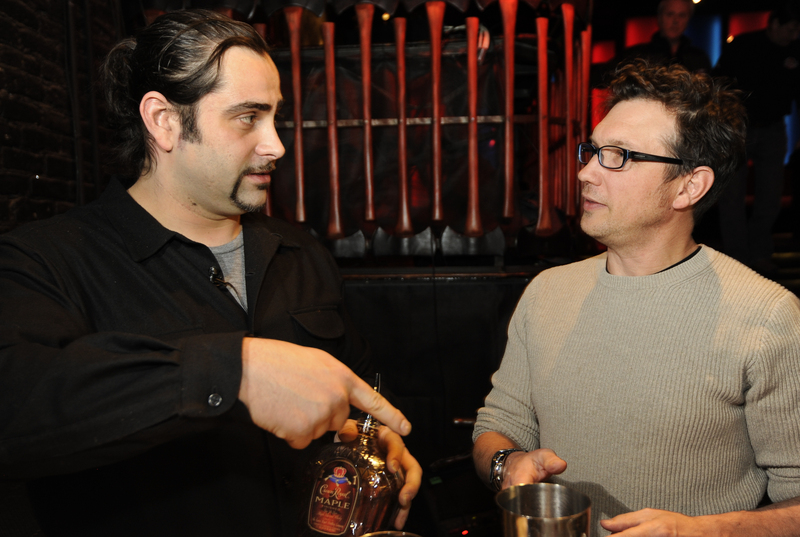 Another place I see this spirit really shining is in cocktails to add light maple notes without being overpowering. 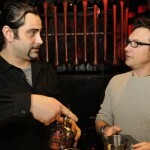 In some cocktails you add just a splash of a spirit or even a wash to add flavor (think absinthe in a Sazerac). I think Crown Royal Maple could be great in this role. PS – We decided the guitar needed a fittingly regal name, so we proudly introduce “Royal Pancake”. 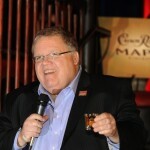 Thank you, Crown Royal for a great event and an amazing prize.